Consolidate partial quantities of the same product which is scatterd on several storage bins into full quantities. 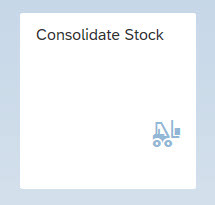 As a start, familiarize yourself with Stock Consolidation in the online documentation. This blog post will walk you through examples for consolidation on storage bins in the warehouse. There is no dedicated customizing required. 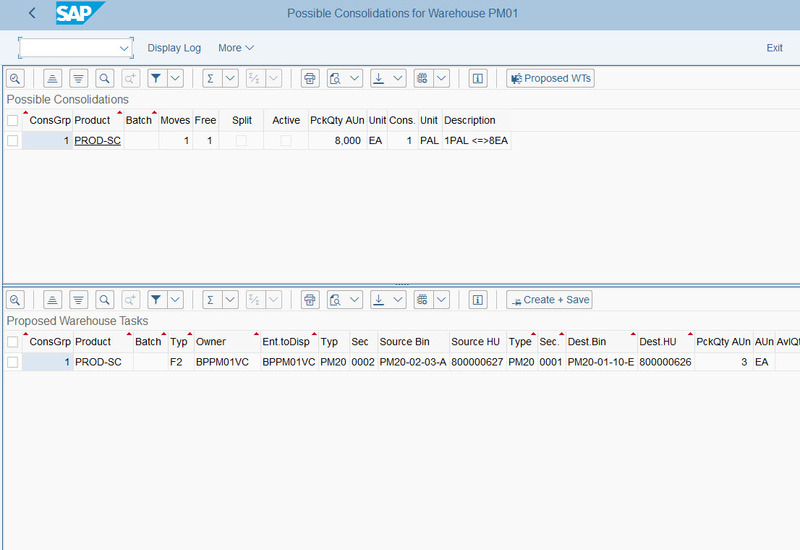 Since stock consolidation builds on existing functions in EWM configuration, your setup in the warehouse is crucial. You enter the criteria needed to consolidate stock in the selection criteria of the transaction itself. The common business scenario is a warehouse supervisor who would usually prepare the warehouse tasks for stock consolidation during idle times in the warehouse. These warehouse tasks would either be phased in the queue for the affected storage types/activity areas, or a warehouse internal queue. For stock consolidation, a warehouse supervisor could select the storage types for picking. His selection would include products with slow or moderate stock turnover rates. Such partial quantities would usually reside longer in the picking zones compared to fast-moving products. Such slower moving products are worth the effort to consolidate. Fast mover would leave the warehouse before they might cram up storage space. Let us see how the example from the online documentation would look in the transaction. In the above list, you see the aggregated results of possible stock consolidation options. 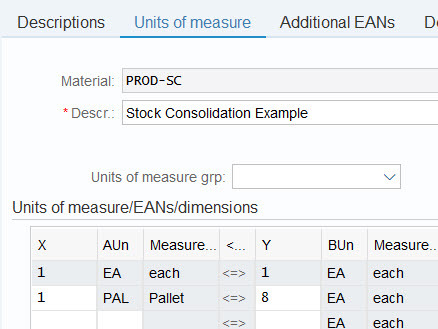 You see that you can reach one full pallet with one suggested consolidaton move. In the same line, you get the information that you can free one storage bin with this move. 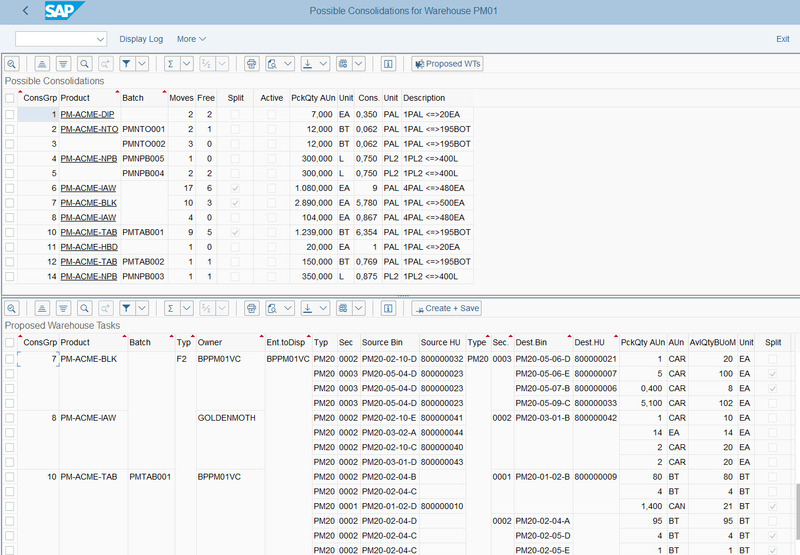 Below, you see the detailed proposals for warehouse tasks. The list contains the move of the three pieces to the five pieces. This would yield the full pallet and free the source storage bin. The standard behavior is always to move smaller partial quantities to larger partials. 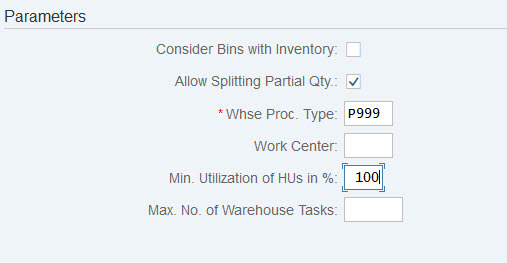 When you are satisfied with the proposals, you can select the proposals and click “Create Warehouse Task”. This result relates more to a business scenario with lots of partials. Though in the results, there are options which are not worth creating warehouse tasks because they would pose more effort in execution of tasks than gaining full quantitites. For example, the first lines do not even yield half a pallet. In the details below, you see that line 3 has proposed moves which cannot free up storage bins. These moves would not even lead to a tenth of a full pallet. You can already exclude such proposals beforehand by finetuning your selection. 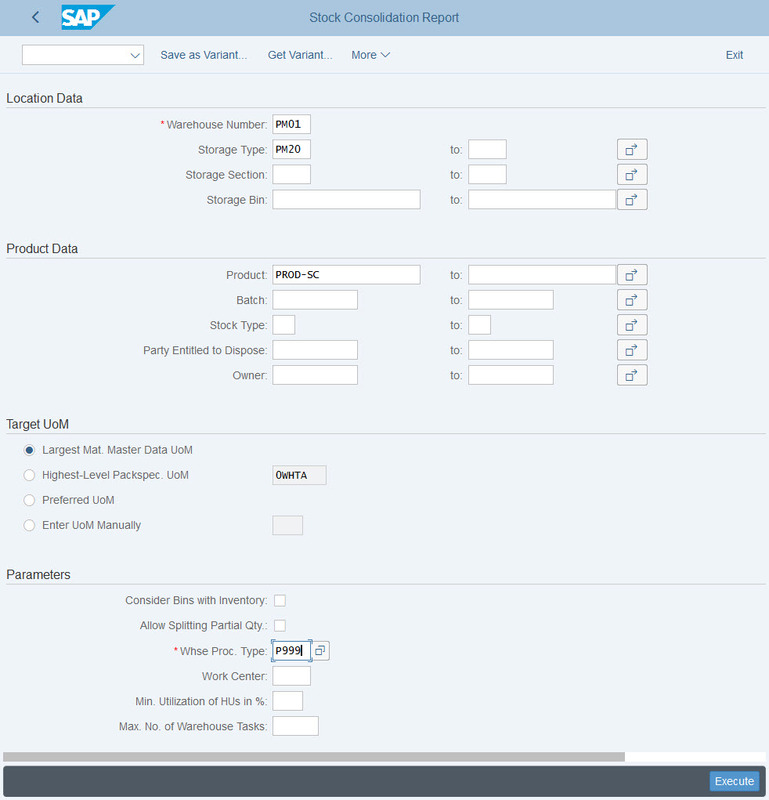 This will give you results worth the consideration for warehouse task creation. Assume, you want to reach at least 80% of full quantities when you consolidate. Than you enter a minimal utilization of 80. In case you always want to reach a full quantity, just enter 100 (to represent full quantity => 100%). Though it is advisable to allow splitting partial quantities further to increate the chances to reach complete utilization. These were some initial examples in this blog post. Stay tuned for following blog post and also posts about frequently asked questions (FAQs). Did you already collect experiences with the new feature? Long awaited functionality in a busy warehouse. 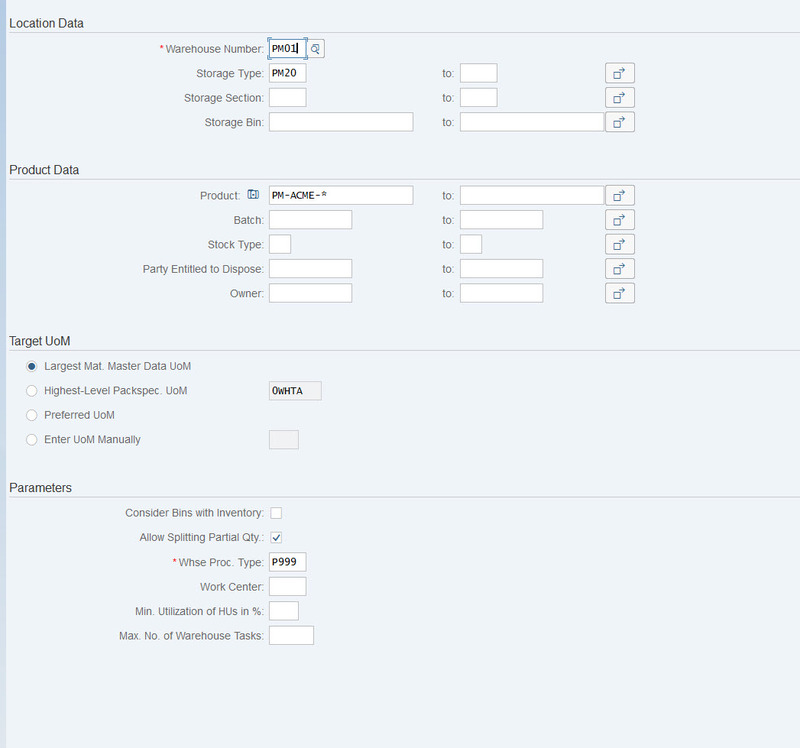 Question – Does it work to optimize capacity utilization even when all available product qtys are in highest UOM? For example 3 full boxes are spread over 3 different bins and each bin capacity is say 5 boxes. Will consolidation suggest to move all boxes into one bin? Which one?